Project Canvas attacked as a "poison pill" by local TV group | What Hi-Fi? Six TV has today formally requested a full Ofcom investigation of Canvas. Ofcom has already received a complaint from Virgin Media, which sees Project Canvas as an anti-competitive cartel that will crush the nascent online TV market. Now Six TV – the largest holder of local TV licences in the UK – is warning that new entrants will be kept out of the broadcasting market if Canvas is allowed to go ahead. Daniel Cass, chief executive of Six TV, which owns licences to broadcast digital channels in Oxford, Reading and Southampton, says: "Far from a panacea, we regard Project Canvas as a poison pill which will have a negative effect on opportunities for important new television services to enter the market." Six TV fears Canvas will present the traditional broadcasters with a way of ensuring their dominance of the new era of digital TV. 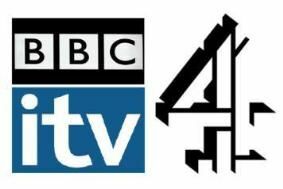 "We are calling upon Ofcom to launch a full investigation of the actions of the joint venture partners [in Canvas] as we do not believe local TV will be viable in the UK otherwise," says Cass. Six TV will also present its complaint to the Office of Fair Trading.